My name is Andreea. I recently passed the IELTS exam with an overall band 8. Andrew from Crown Academy of English has asked me to share with you my experience of preparing and taking the IELTS exam and also to give you some advice. Andrew: Hello Andreea. Thank you for taking the time to do this interview for Crown Academy of English. Please tell us what country you are from? Andreea: Hello Andrew, it’s a pleasure to help. I was born in Romania and that is where I am living now. Andrew: How old are you? Andreea: I’m 18. I was 17 when I took the exam. Andreea: I took the IELTS exam in September 2014. Andrew: Where did you take the exam? Andrew: What band did you get? What was your score in each part (listening, reading, writing, speaking)? Andreea: My overall band was Band 8 with 8.5 in listening, 7.5 in reading, 6.5 in writing and 8.5 in speaking. Andrew: How many months did you spend preparing for the IELTS exam? Andreea: In theory, I spent about fourteen months preparing for the IELTS exam. Yet, around twelve out of the fourteen months were casual classes, once a week. My preparation became really intense in the last two months before the exam. Andrew: How many hours per week did you spend studying for the IELTS? 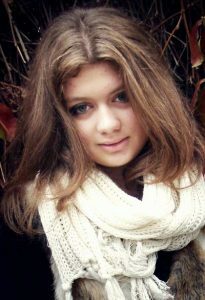 Andreea: In those twelve months I would spend around three-four hours a week studying for IELTS. Yet my study program became really intense in the last two months when I was studying even a good ten hours a day- therefore about 50 hours a week. Andrew: How did you prepare for the IELTS? Andreea: I had various means of preparing for the exam. My basic preparation consisted of private classes with a teacher. I took those private classes once a week during the fourteen months. Then, when the exam was approaching, I started to study on my own, using online tools, courses and books. Andrew: What problems and frustrations did you have related to preparing for the IELTS? Andreea: I had a couple of frustrations related to the writing section. That is because writing tends to be rather subjective and although my works were constantly assigned by my teachers, I had no way of being sure how the IELTS committee would assign my work. It was quite frustrating not to know whether I am working in the same way the IELTS teachers would like me to work or not. In speaking, I had issues due to the pre-exam anxiety. Couple of weeks previous to the exam, I was unable of giving fluent answers in the mock tests. Yet, speaking with foreign people really helped to regain my fluency and coherence in only a few days. Reading was really frustrating because I found it hard to understand the main idea of a paragraph and in reading, I was always having the lowest band when doing mock tests. I had some issues with listening as well, because at one point I wasn’t able to note my answers down and also I had some concentration problems at first. In listening, I started at 6.5 and I think improving to a better band was the most frustrating part I experienced during preparation. Andreea: Listening was a little surprising for me. During my preparation, I would always achieve Band 9 in mock tests. But the actual test was more complicated than the mock tests- the people on the tape were speaking a lot faster than those in the practice tests. This was quite an inconvenient as it took me by surprise. Yet, a good thing was that the speakers didn’t have any accent and they had a clear pronunciation, unlike those in some of the practice tests. Another good point is that the sound was clear and there were no problems with the organization. I was expecting almost with certainty at least one spelling exercise, but there weren’t any. I remember that the speakers were talking about camping, recycling, zoo and that I had an exercise where I had to complete information on a map. Andreea: Unfortunately my experience with the Writing test wasn’t pleasant. The organisation was good, the assistants were helpful and clear. Yet, the writing test was the last one in the series of the three written tests. I had only slept a couple hours the night before the exam and by the time the writing test begun I found it extremely hard to concentrate. I solved both task 1 and task 2 and contrary to my obtained writing Band, I felt quite confident and estimated a better result (I was backed by my previous Band 8.5-9 in the practice tests). Task 1 in Writing was about comparing two maps (easier than I was used to – I was expecting charts, pie charts and graphics). In Task 2, the subject was regarding the water shortage issue and how it affects the population worldwide. Andrew: How about the reading test? Andreea: My reading test went well- a lot better than my previous experience with this section of IELTS in the practice tests. I was quite concerned by the reading part because I still wasn’t at the standard I expected myself to be (in practice tests I took a constant of 7.5 with rare 8.5). The assistance for the test was good, we were explained everything very clearly. The test itself was simpler than the ones from the practice textbooks- the articles given were clearer and contrary to my expectations, weren’t very academic. Andreea: After the Speaking test I had mixed feelings. I was scheduled late in the afternoon- this made me really concerned and anxious given the level of tiredness that piled up over the written tests and the lack of sleep. Yet, the organisation was good, there weren’t any kind of delays and everyone was friendly and supportive. My examiner was a really nice lady, she smiled all the time and had an encouraging attitude. A very good point is that the speaking test went pretty much like a regular conversation you’d have with a friend, especially in the Part 3, where we had a one-to-one conversation. Part 1 in Speaking was about education and teachers. I remember I had questions like: “Do you have a favourite teacher?”, “Why is she/he your favourite teacher?”, “Do you keep in touch with teachers from the past?”. In Part 2, my cue card was something in the lines: “How do sports and exercise affect your life?” (I had issues in this part of the test, because I was used to complex subjects, either political, humanitarian, economical, science related issues- I only spoke for 1 and a half minutes as I couldn’t figure what should I say more on the topic). Part 3 was a further conversation with the examiner, based on Part 2. We talked about health, sports, the importance of sport and exercise in children’s life, the impact of education over children’s health and about advertisement and its consequences on health both for children and adults. 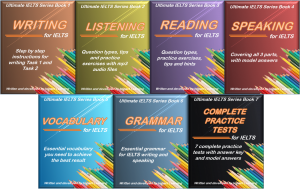 Andrew: What advice would you give to prepare for the IELTS? Andreea: Learn constantly because if you learn constantly and you get used to the test format and to the way of working with it, you won’t be having any kind of problem. The more you study, the more accustomed to the test you get and you will realize that in no time, IELTS will become something as habitual as eating is, for example. Always stay motivated when you study. If you keep reminding yourself why you do this, it will come a lot easier for you to learn for the exam. Practise your speaking a lot and book a few practice speaking tests with a native English teacher who knows the IELTS exam. The feedback they will give you is very valuable. Get used to focusing even when there is noise around you. There isn’t going to be noise inside the exam room, but being able to focus even through noise will give you extra attention and therefore extra skills for the Listening part especially. The problem with self-study with just books is that there are so many IELTS resources, books and materials and not all of them are good. It is difficult to know what resources are good or bad or where to start. Online IELTS courses are good because they have a structure and you will save a lot of time. It is worth investing a bit of money to save you that time and quickly increase your band. Andrew: Please say anything else you want about the IELTS that you think will help future students. Andreea: The IELTS Exam is very relaxed and very well structured. Try to understand the IELTS atmosphere before you get there- this will help you relax. The exam day isn’t exhausting- the written tests only take three hours. Therefore, including the procedures, you will get out of the examination centre in only four hours. Make sure you take a bottle of water with you, it will help you both during the written tests and the speaking one. can you provide any link from where i can proper guide for ilets test? From where to start preparing for exams.. ? I like the way you teach, it’s very good. Hi, if i choice teacher for speaking it’s possible practice on skype or this is in person classes?